Cisco veteran takes charge of A/NZ partner ecosystem. 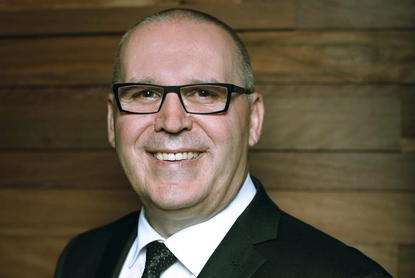 Citrix has appointed Brian McColm as director of channel across Australia and New Zealand (A/NZ), recruiting the industry veteran following the departure of Belinda Jurisic in March. In this role, McColm will lead the vendor’s channel strategy and partner ecosystem growth on both sides of the Tasman, working with partners, distributors and system integrators. “Our strategy at Citrix Australia New Zealand is, together with our partners, that we are trusted to enable all businesses to embrace secure digital transformation and new ways of working,” Citrix vice president of A/NZ Les Williamson said. With more than 25 years’ experience in technology roles for leading organisations, McColm has worked across a number of industries including telecommunications, IT and channel. McColm joins Citrix after 20 years with Cisco, most recently as general manager of channels, alliances and distribution across A/NZ. In addition, McColm has also held a number of senior management positions that have included regional manager SPC, sales manager and partner business manager across Australia. Specifically, Williamson said McColm brings a "wealth of experience" in leading large scale partner and distribution aligned teams in the A/NZ market. According to Williamson, this experience and knowledge will add "substantial value" to the existing and new partner ecosystem, for the Citrix business locally. “The market opportunity around digital transformation and new ways of working is an exciting one for Citrix and our partners; McColm will drive a strategic plan to capture these opportunities,” Williamson added. McColm replaces Jurisic, who was recently tasked with leading Veeam Software’s channel charge across A/NZ, replacing Amaury Dutilleul-Francoeur as head of channel sales.